If you’re ready for new windows at your home in Gladstone, Michigan, or a surrounding community, turn to the professionals at The Window Store. We understand that many homeowners place an extra priority on having windows that will create a more energy efficient home. That is why we offer efficient vinyl windows that are specifically designed to maintain a consistent internal temperature while placing less strain on your HVAC system due to foam-filled frames and Low-E coatings. This method of construction may even lead to a reduced monthly energy bill. In addition, when you turn to The Window Store you’ll be able to feel safe knowing your project is completed by qualified technicians. 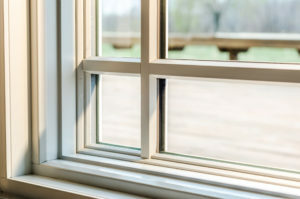 Our team of installers will ensure that the window installation project at your home in Gladstone, MI, or a surrounding area, is completed correctly the first time. And, we feel so strongly about this statement that we offer an impressive labor warranty on all of the installations we perform. For more information about the new windows we can offer for your home in Gladstone, MI, or a surrounding area, contact The Window Store today. Make sure to ask about the financing options we offer to all qualifying homeowners. The gutters are wonderful. We love having no water falling on us when it rains. We had a great experience! We highly recommend The Window Store!